Credit cards come and go, but when they go, it’s usually our job to make sure they do. 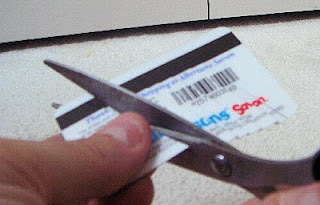 Most people just cut the card in half and drop it in the trash. If you do so too, that could be a costly mistake. 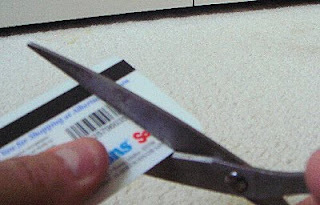 The magnetic stripe on the credit card can be quite easily read even if the card is cut, not to mention the card’s number, expiration and CVV. 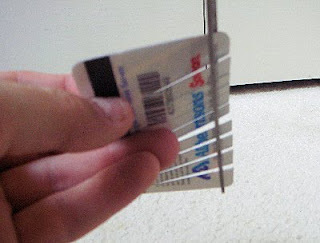 If you don’t want the guy who finds it in the trash to go on a spending spree on you, here’s some better way of getting rid of the card. Ideally, a card shredding machine, such as the one banks have, would be great, but those are too expensive for the home user. 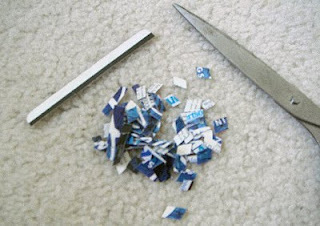 Many regular SOHO shredders can also shred credit cards, and that’s good too. If, however, you don’t have one, or prefer manual control over this, I suggest this simple technique from the kitchen. If you want to add one more layer of security to all this, you might want to spread the pieces between several trash bags, or better yet – take half of the debris and dump it somewhere completely different, like at the office or at school. Congrats! You’re safe! 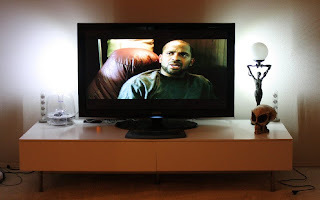 A few decades ago, someone discovered an interesting fact – placing a light source behind or to the side of a TV enhances the viewing experience significantly. I’m sure there’s some interesting explanation for this, but I’ve experienced it myself, and I can attest to its truthfulness. Philips, the well known Dutch electronics company, is also on to it, and a few years ago developed a line of televisions with what they call “Ambilight”. This is based on a special light source that’s embedded in the TV’s side, and lights the wall behind the TV. The Ambilight TVs cost a pretty penny, of course, but you can have a similar effect for much cheaper, and without replacing the TV. The trick is simple – buy a set of two elongated light sources, like a small CCFL (Fluorescent) lamp, and hang them behind the TV so that they are pointing towards the wall. A better option is a LED-based light, which you can buy at your local store for around 15$ per light. With most TVs, you can use double-sided tape to stick it behind the TV. Other sets will allow other arrangement, like screwing the light on the back at the proper height, or even hanging the light from one of the screws on the TVs back. The technique is not that important, as long as the light is pointing towards the wall. One thing still makes the Philips TVs a little better than my $30 setup...their ambilight actually changes color based on the content displayed onscreen. Is that worth it...you be the judge.